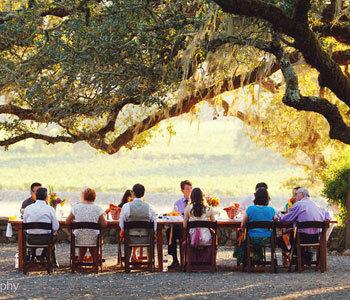 Join our family and WINEMAKER for an Unforgettable farm dinner. Chef Greg’s Ranch-Grown Wood-Fired Summer Dinner – three courses – paired with estate wines – followed by a moonlit walk (Full Strawberry Moonrise at 8:15pm). We scoured the souks of Marrakesh to find every fresh, fragrant spice on Chef Greg’s wish list!. Join us – and lounge on our new Berber carpets! – for a fun and unique evening, featuring our favorite tagines, couscous and traditional Moroccan salads. Served al fresco & paired with estate wines. Taste of summer – Chef Greg’s inspired summer menu that celebrates the vibrancy of our organic heirloom stone-fruit. Wine-paired, served overlooking the valley. From the vine to the pan, three-course, open-fire-paella dinner, prepared + served in the produce garden. Paired with estate wines. Candlelit. Follows the Club Member Heirloom Produce Pick. Chef Greg’s Molé, Evelia’s handmade tortillas, estate grown wines. Prepared and served overlooking the vineyard & valley. Guided walk through our estate vineyard before settling in the barn for Chef Greg’s open-fire roasted cowboy-inspired dinner, paired with flights of Beltane Ranch Zinfandel. Mussels & heirloom tomatoes, followed by Chef Greg’s whole fish. Paired with flights of Estate Sauvignon Blanc. Simple, fresh. Served overlooking the valley. The ultimate finale to a bountiful growing season: The best of the ranch’s harvests in three courses, rustic, wood-fired & wine-paired. Dinner + Wine included. Gratuity is not included. Email or call us at 707-833-4233 with any questions.